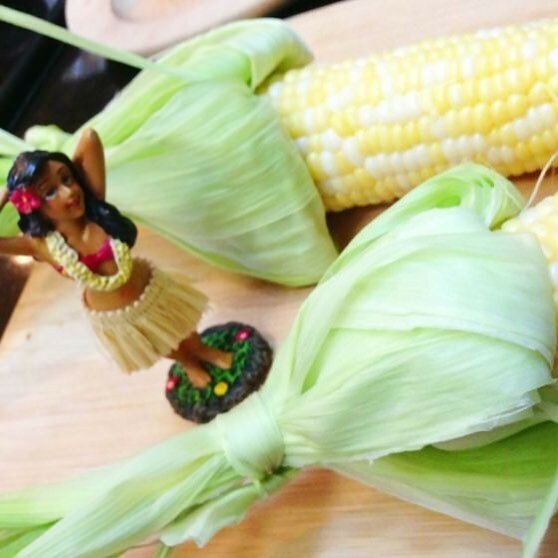 This post is revised to include the simple recipe for Baked Corn on the Cob. It’s so much better than boiled corn because there is so much more flavor in the corn instead of left in the water. Baking helps enhance more corn flavor. Rinse corn with husks on in water. Place on middle rack in oven. Bake 30 min. 350°. Peel husk back and tie into husk handles.